In 1993, I set out for the UK in order to start my doctoral studies. I knew few things about life in that country. My family was particularly worried whether I would be able to follow rules regulating a Muslim’s daily prayer and dietary restrictions in the UK. Soon after my arrival, I discovered a prayer room for Muslims within the university campus with facilities for making ablution and following other Islamic rules of cleaning. I was delighted; my religion was recognized in this foreign land. I informed my family to surprise them. However, my joy was short-lived, as I noticed that there was no turbah (a clay tablet placed by the Shi’a under forehead during prayer) in the prayer room. It became clear soon that using it was not completely welcome there. It was disappointing to see that my Shi’i faith was not recognized in the prayer room. While Islam was recognized within a secular state and a Christian society, my fellow Sunni Muslims were not extending the same recognition to my Shi’i faith. It happened that my doctoral project focused on recognition of cultural differences. My supervisor encouraged me to do my thesis on recognition of cultural differences in the Islamic tradition. He thought that, given the rich history of accommodating differences in Muslim societies, I could make a better contribution to the debate. My preference, however, was different. I was studying in the West and I wanted to benefit from that and concentrate on Western philosophy. As a result, I worked on three Western philosophers, namely, the Canadian Charles Taylor, the American Richard Rorty, and the British Joseph Raz with a focus on their account of recognition of cultural differences. Nevertheless, my ultimate interest remained in Islamic political thought; and indeed, the Islamic civilization has had a good record of recognizing religious differences. Since the early period of Islamic history up to the end of the Ottoman Empire, various communities of Christians and Jews have been accorded certain rights to govern themselves and enforce their own personal law, based on their religion. However, despite such an outstanding record, no such recognition was granted to alternative faith traditions that exist within Islam. This has been the case irrespective of whether the Sunnis or the Shi’a were dominant in the society. In this short paper, I discuss the need for recognition of religious differences within Islam. My argument is that although sectarianism is mainly generated by political and social factors, lack of recognition for differences within Islam provides a fertile ground for tension. As a result, vast populations on either side develop the sense of being treated as a second-class citizen or second-class Muslim. Since its beginning, and importantly during the Prophet Mohammad’s era, Islam allowed religious minorities, people of the Book to have certain types of autonomy, particularly with respect to personal law and religious practices. It permitted them to be ruled differently and in this way, recognized religious differences. Such a precedent in the Prophet’s era allowed the Islamic pattern of treating religious differences to be developed throughout history up to the more recent Millet system in the Ottoman Empire. The latest development in this regard has been the Marrakesh Declaration of 2016, a statement on the rights of religious minorities in predominantly Muslim countries made by more than 250 Muslim delegates comprising religious leaders, heads of state, and scholars. However, because divisions within Islam and the emergence of different faiths occurred after the death of the Prophet, there was no precedence for future Muslim communities to follow. Throughout the following centuries, with the consolidation of doctrinal and communal boundaries between various traditions within Islam, a combination of suppression and toleration defined the interfaith relationships among various Muslim faith communities, depending on the dominant circumstances. However, a number of Shi’i and Sunni religious scholars recognized each other’s faiths and found following them legitimate for their own followers. Such recognition, nevertheless, was restricted to religious legitimacy and it was not translated to political legitimacy or extended into the public life. Therefore, throughout the reign of many Muslim states and empires, minority communities of various Muslim faiths were normally allowed to comply with the rules of their religion and to perform their religious practices, but they did not have collective rights. Consequently, they were significantly restricted to play a major role in the public life of their larger societies. This norm has continued up to the modern period, when in the constitutions of almost all Muslim countries, Islam has been declared as the official religion, usually without mentioning the Sunni, the Shi’a or any other branches. This is so, despite the fact that many of these states have incredibly diverse societies consisting of various branches of Islam. There may be a positive side to such non-recognition. This may be a benign neglect in order to treat all Muslim communities equally. It is sometimes claimed that mentioning the name of a minority community in the constitution amounts to demoting it to an inferior status. Additionally, because unity among Muslim has always been a lofty goal, reminders of divisions have never been viewed positively. Hence, Muslim communities of different faiths usually prefer to call themselves Muslim rather than Sunni, Shi’a, Zaydi, Ismaili, and the like. And yet, such a neglect of religious differences among Muslims, whether benign or not, has had detrimental consequences. In most cases, it was quickly translated into a lack or even outright denial of recognition. For instance, until Saddam’s fall, the Iraqi Shi’a were deprived of their right to publicly perform part of their religious practices and communal rituals. They were gravely underrepresented in public institutions of the country. This was not because Saddam Hossein was a religious Sunni ruler; he was a secular dictator, afraid of any gathering which naturally in a country with a Shi’a majority would mostly be Shi’ite congregations. Saddam did not expel the Shi’a from public offices or jobs to replace them with Sunni devotees. He substituted them with members of his own clan, who happened to be Sunni. The massacre of the Shi’a in the last years of his rule only added to the grievances of the Iraqi Shi’a. We can observe a similar story has been played out in Saudi Arabia, Bahrain and many other Muslim countries where the Shi’a are underrepresented and excluded from public positions and jobs. On the other hand, it is a repeated complaint that in Iran, Sunnis are underrepresented in public offices, and in Syria, the majority Sunnis were deprived of the highest public office for about half a century. The complete lack of, or insufficient, recognition brings about not only the feeling of being treated as second-class citizens, but also as second-class Muslims. The latter exacerbates grievances. Depriving a community of recognition amounts to not seeing it. Taylor argues that ‘our identity is partly shaped by recognition or its absence, often by misrecognition of others, and so a person or group of people can suffer real damage, real distortion, if people or society around them mirror back to them a confining or demeaning or contemptible picture of themselves’. If recognition of differences in the public and societal realm is needed in order to address the grievance of faith communities within Islam, then the question arises as to what recognition means in this context. I think the Islamic tradition of treating non-Muslims as well as modern accounts of dealing with cultural differences provide us with some guidelines to develop a pattern for treating followers of multiple traditions within the fold of Islam. Under Islam, religious minorities of the Book are allowed to perform their own religious practices and to follow their own personal law administered by their own courts and to regulate part of their internal issues according to their own religion. 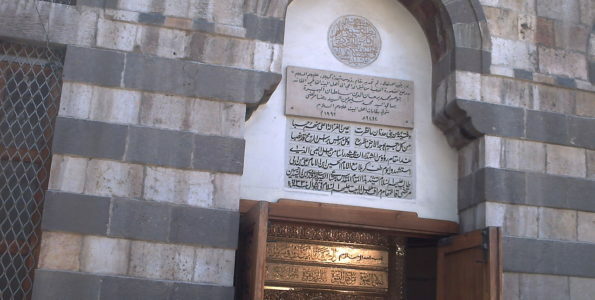 Under the Medina Charter, or Ṣaḥīfat al-Madīnah, the constitutional framework for running Medina in the early years of Prophet Mohammad’s settlement in the city, religious communities were allowed to regulate most of their own internal affairs. Only two issues, the defense of the city and disputes between various communities, were dealt with in accordance to the Charter and by central authorities. A framework that is close to the spirit of Medina Charter can serve as a baseline for recognition of religious communities within an Islamic society, whether dominated by the Sunni, the Shia, or others. As noted above, Muslim societies have mostly kept up with these baseline rights, whether through toleration, pragmatic expediency and to a lesser extent the acceptance of diversity. However, such baseline rights should be complemented by certain other rights that are indispensable in a modern and democratic world. Will Kymlicka in his Multicultural Citizenship (1995) defines three types of group-specific rights: representation rights, self-government rights, and polyethnic rights. Representation rights provide a minority community with representatives in various public bodies of the larger society that it could otherwise not obtain, due to the sheer number of its members or its geographical spread. Self-government rights are the type of rights that allow a minority community to run certain parts of its affairs, without the intervention of the larger society. Polyethnic rights are those that are granted to a minority community to be exempt from certain laws governing the larger society, for those laws conflict with specific rules followed by the minority community. For instance, in some countries, Sikhs are exempt from having to wear motorcycle helmets. Kymlicka argues that these rights are consistent with liberalism. It can be argued that there is nothing in these rights to make them inconsistent with Islam either. Such rights allow the accommodation of doctrinal differences within Islam and prevent further accumulation of grievances. As we know from recent history, the lack of these mechanisms, in volatile political and economic situations, has more often than not contributed to social explosion. Sectarian infighting within Muslim societies has mainly been caused by social and political reasons, rather than doctrinal disagreements. In order to prevent instability and disintegration, Islamic societies need to address not only social and political issues, but also grievances inflicted upon certain religious communities because of their collective identity. While there is an established pattern of dealing with religious differences outside Islam and particularly with regards to people of the Book, no such pattern has been developed with regard to faith communities within Islam. Nevertheless, the compliance of the latter communities with their own rules and performance of their own practices were usually tolerated, within the larger Muslim society. Sound relationship among various faith communities within Islam requires mutual recognition of these communities by each other. Depriving a community of recognition inflicts upon it a sense of being second-class Muslims and citizens, providing a recipe for social unrest. Recognition of religious communities comprises steps covering three layers: religious, social and political. In the religious layer, the compliance of members of the community with the rules of their own faith is considered religiously legitimate. It is a not, however, expected that differing faith traditions regard each other as equally true. In the political layer, certain rights are guaranteed for a religious community, through the political apparatus of the society. Collective rights, such as self-governing in certain areas of social life, representation rights and community-specific rights that exempt one community from some laws enforced in the larger society, are conferred upon a community at the political layer. Recognition is most difficult at the social layer, where ordinary people are expected to respect members of Islamic faiths different from their own. Recognition at the other two levels is granted by a small elite that makes decision on the basis of a relatively specified rules. Ordinary people, however, do not form a monolithic group. They are also affected by a diversity of economic, social and psychological factors, which usually have an impact on inter-communal relations. Religions that were given scripture by God, mainly Abrahamic religions, such as Judaism and Christianity. Charles Taylor (1992), “The Politics of Recognition.” In Multiculturalism and “The Politics of Recognition”, edited by Amy Gutmann, 25-73. Princeton, New Jersey: Princeton University Press, p. 25. Nevertheless, there have been periods of disputes and even bloodshed between religious communities within Islam.